It’s a bird, it’s a plane, no it’s…that pale-skinned perpetual host of the official Flame Con parties, Ginger Rodger! 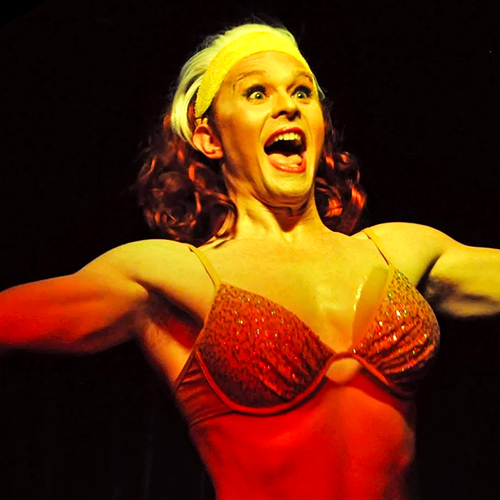 Come see Ginger, who has been described by many, as “on stage”, “holding a microphone”, and “seriously not wearing clothes”. 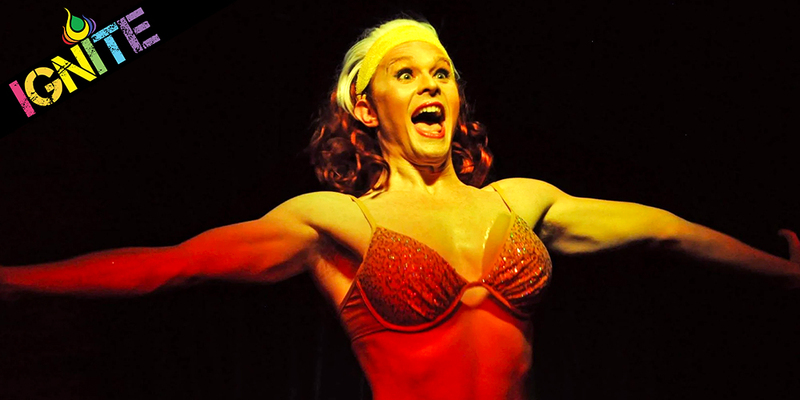 Those who don’t suffer the grave misfortune of being blinded by Ginger’s reflectively luminescent skin under stage lights will be gagging on Ginger’s ability to host a queer party AND be almost-but-not-completely naked AT THE SAME TIME. Some of you may not have thought that was humanly possible but Ginger is here to defy your expectations and rob you of your sanity!